My name is Captain Ken Burton (just call me Ken) and I currently share my passion for history and serve as the Executive Director of the Vancouver Maritime Museum (VMM). The VMM is a significant cultural institution and the premier maritime museum in Western Canada. It is located in Vancouver, British Columbia, Canada. The museum’s mandate is to share the historic maritime story of both the Pacific and Arctic coast of Canada. The VMM features a large collection (including the RCMP Patrol Vessel St. Roch), archives and library complete with national and international collection of Sir John Franklin material, correspondence, original charts, artefacts and ephemera. The VMM is one of only a small handful of Canadian Institutions to be a designated “down stream” direct recipient of Erebus material and artefacts as they may be recovered by Parks Canada archaeologist. I have served as guide, historian, logistics support, and advisor on a multiple of North West Passage transits and remote Pacific Coast adventure expeditions executed or attempted by a wide variety of entities. In 2016 I was onboard the Crystal Serenity as a guest speaker, guide and historian on the first ever, large passenger cruise ship transit of the Northwest Passage. I have worked and/or assisted with a variety of entities operating in the high Arctic for many years. I was a career member of the Royal Canadian Mounted Police and worked throughout Canada (including the Canadian Arctic) and abroad as a Federal Enforcement Peace Officer and Patrol Vessel Commander. I hold an internationally recognized 500 GT Maritime Command Endorsement. In 2015 I retired with distinction from the Royal Canadian Mounted Police as a senior Commissioner Officer (Inspector). In 2000, I was placed in charge and served as Captain of the St. Roch II Voyage of Re-Discovery. This was a Government of Canada millennium project, which saw a group of us retrace the voyages of the original RCMP St Roch’s Arctic transit and subsequent circumnavigation of North America. The transit was completed successfully in a 20m high-speed aluminum catamaran. During this 169-day 24,000 nautical mile circumnavigation of North America via the Northwest Passage, we made over 50 ports of call into 7 different countries. I have spent significant time in the high Arctic over the past 20 years searching for signs of the lost Franklin expedition (Erebus & Terror) utilizing state of the art forward looking SONAR array and visiting remote and isolated islands in the Arctic. Over the years, I have been active in all things marine, I was an avid SCUBA diver and master SCUBA Instructor, historian, photographer, prolific writer and traveled and taught extensively throughout North America and abroad. Ken is no stranger to the Arctic, he will be our local guide for the voyage keeping us both safe and informed. My primary role is to ensure your safety and enjoyment in the Arctic. I will be serving as the Polar Bear safety officer and where appropriate as a local guide. We may get the opportunity to share some of the remarkable history of the Arctic with everyone. I will also advise you on some local protocols, customs, laws, the do’s and don’ts, best practices and how to stay safe, warm and engaged in the Arctic. A very good friend and colleague of mine, Dr. James Delgado is the Director of Maritime Heritage for NOAA. Dr. Delgado saw a fit for the OHPRI project with my skill sets and linked us together about 3 years ago. The VMM has also been involved with the URI on some very successful underwater projects over the past year. I am looking forwards to the sharing the Arctic with an incredible group of young students and scientist. Global warming and the changing Arctic will continue to be a significant global focus for many generations to come. In 2000 while transiting the NWP from west to east I mussed that my children and certainly my grandchildren will see an ice free Arctic. Last year standing on the Crystal Serenity I came to the sad realization that I was seeing an ice-free Arctic. We saw no ice in the Canadian Arctic. Albeit – a small flow that we needed to search for. I had similar fears in 2014 and 2015 during transits. 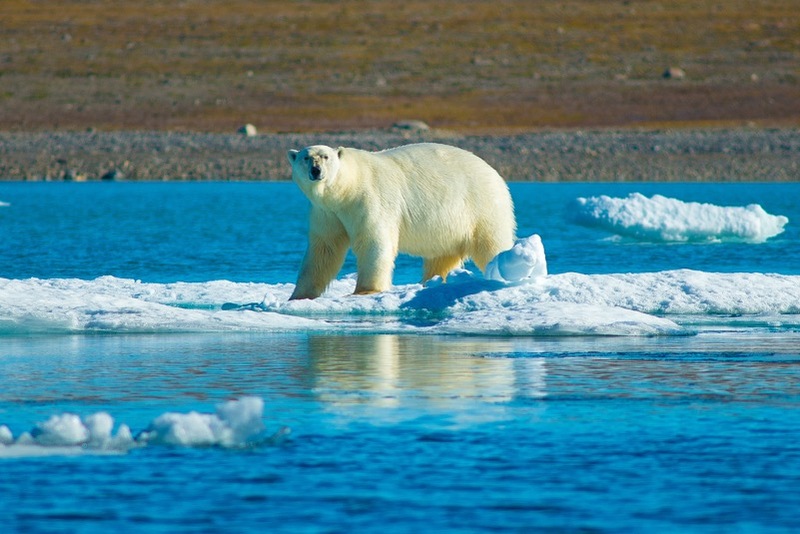 Loss of Arctic ice will have a profound impact on global weather, flora, fauna and the Inuit. It is happening and it is happening now. I’ve been on plenty of small sailboats, but nothing as impressive as the OHP. Looking forward to it immensely. I always look forwards to meeting the Inuit. They are a resilient, creative and friendly people. We have much to learn from them. Every geographical area in the Arctic will cast a spell on you – no one area is more mysterious than another. You will return from this voyage a profoundly changed individual.